I’m an independent Religious Education Consultant. I work mainly in the Eastern Region for the Diocese of Norwich, and also for Culham St Gabriel’s Trust managing their TeachRE course. The views here are my own, and do not represent any of the organisations I work for. Developing subject knowledge…an alternative approach! I’ve finally got round to putting this into a blog!! What inspired me to finally put pen to paper was a meeting with some outstanding secondary colleagues today. We were discussing a regional strategy for developing leading RE centres in our Eastern region. We talked at length about the professional learning needs of teachers of RE in secondary schools…one thing stood out…subject knowledge. However, this was not just about knowing and understanding religion and belief, but as a number of them said, understanding the changing reality of religion and belief, the diversity, the complexities…. Over 95% of the Thai people are Buddhist. One of the first things you notice is evidence of religion everywhere. 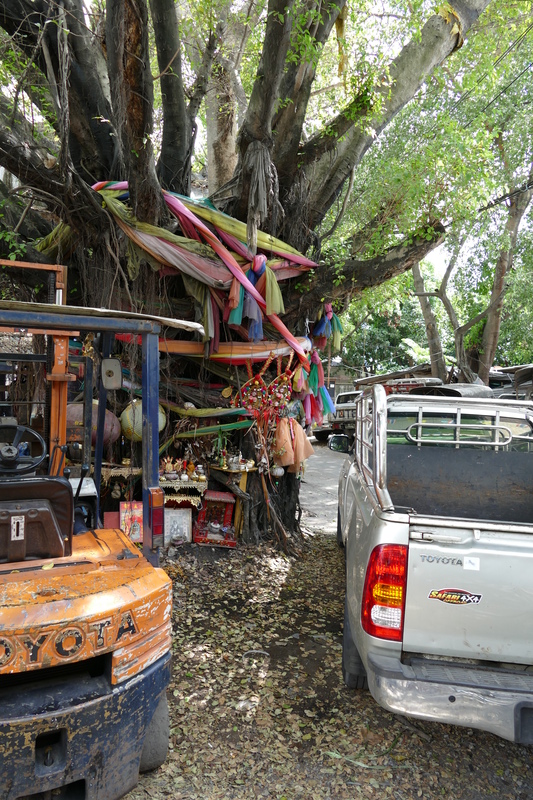 From a small shrine outside a local convenience store, to decorated banyan trees in the middle of a junk yard; religion is present, explicit and manifest everywhere. The amalgamation of different religions and belief systems is also evident, welcomed and celebrated. We visited Buddhist temples, that also housed shrines to Ganesh. 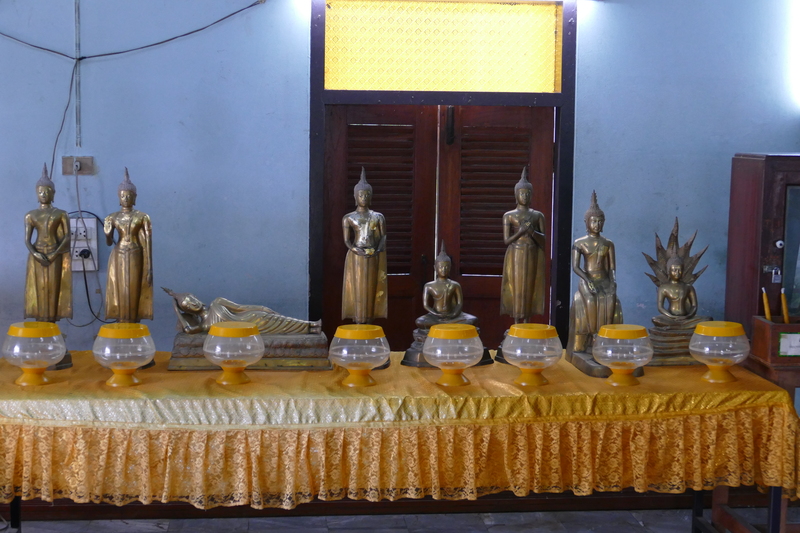 We saw Thai Buddha images alongside Chinese ones……. What struck me more than anything else, was that in the UK (I don’t want to label the ‘west’) we tend to sanitise religion. We present it as some kind of package. We put religions in boxes, and religion itself too. Many have written about this in a far more scholarly way than me. At the recent EnergisingRE conference Professor Linda Woodhead explained eloquently the reality of religion and belief in our society. However, the issue remains (at least in my experience) that in the RE world we do not really engage with the true diversity of particular belief traditions. For example, in Thailand the different mudras and positions of the Buddha all relate to a different day of the week. So if you were born on a Tuesday, you pray to the Buddha image for that day. Confession time – I had no idea about this! Mae Hong Son is a beautiful northern town in Thailand. It is not as popular with tourists as it used to be a decade ago, and particularly not in the rainy season when we were there! This was great for us! 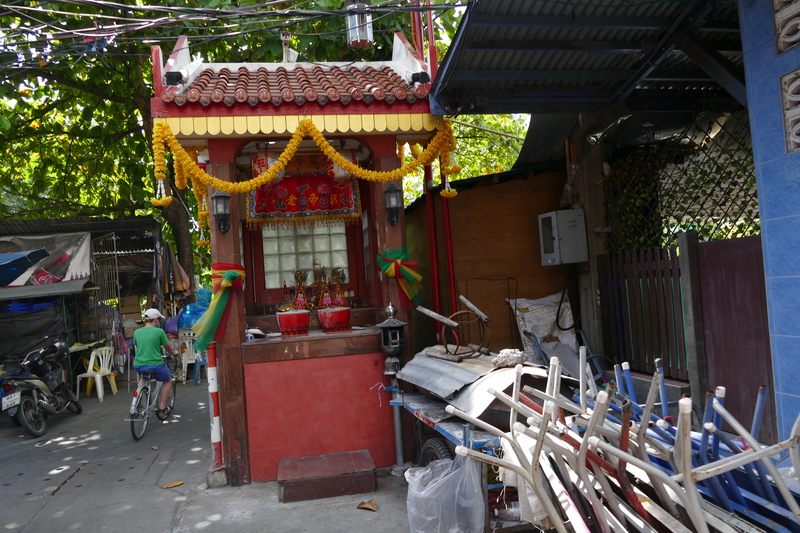 We could see Thai people going about their daily business, and visited temples that were not overrun by coach loads of people. Here we saw the reality of Buddhist life for monks. We saw them getting up early to collect alms, we saw them washing their robes, we say them on motorbikes and using the cash machines. We saw the way in which they are respected on pubic transport and sought out for advice and counselling. Market stalls were full of gifts for monks, and offerings that could be taken to temples. A few days later, in Bangkok, on entering a less well known temple our tour guide first prayed and made an offering before she explained the history of the building and its meaning to us. I am not sure this would happen if you visited a cathedral in the UK…. So why is this important? For me, it is important because in the UK I think we often present a very sanitised (can’t think of a better word) view of religion in the classroom. I know there is some good practice…but my conversations with colleagues today, and the passion in Linda Woodhead’s keynote last Saturday suggest to me that we still have a long way to go. We must engage young people with religion as it is lived out today, not as we think it is lived out. One teacher said today, ‘What I studied at university about religion and belief, is just not the reality anymore”. We must move our curriculum beyond a sanitised view of religion; and I am not just talking about Buddhist traditions now, but dare I say, particularly Christianity…. The views expressed above are my own and do not represent any of the organisations I work for. Posted on October 9, 2015 Leave a comment on Developing subject knowledge…an alternative approach!